The Houthis are comprised of yet another Islamic radical Islamic religious group known as Zaidi. They are headquartered in Sadah, Yemen, in a nation strategically located south of Saudi Arabia on the southern end of the Red Sea and north of the Gulf of Aden. The Houthis are comprised of an estimated 100,000 fighters engaged in what probably is among the most complex civil wars to have ever occurred. That is because the battle involves the Zaidi Shia rebels known as Houthis in conflict with government forces loyal to President Abdrabbuh Mansour Hadi. Also in the fight are forces loyal to ousted President Ali Abdullah Saleh, a predominantly Sunni Islamic fighting force known as Popular Resistance Committees, and al-Qaeda forces that have established strongholds in the south and southwestern part of the country. The picture is further complicated since a Yemen affiliate of the jihadist group, Islamic State, emerged in recent months and successfully carried out suicide bombings in the city of Sanaa in March. Thus we have six different militant groups all at war and fighting for control of Yemen. Of course the United States is involved in the mess. We have had forces there carrying out drone strikes against the al-Qaeda network with President Hadi’s cooperation. But the Houthis’ driven war has forced the US campaign to scale its operations. It has been said the primary civil war is a conflict between the Houthis and the elected government is part of a regional power struggle between Shia-ruled Iran and Sunni-ruled Saudi Arabia. Everybody is interested in Yemen because it’s an important military location at the southern end of the Middle Eastern states, the eastern edge of North Africa, and on the northern edge of the Arabian Sea. The members one were involved in a moderate theological organization at Sanaa University founded in 1992 as the Believing Youth. Their purpose was to promote a Zaidi revival by establishing clubs and summer camps. Their leader in those days was either Hussein al-Houthi or his brother Mohammed al-Houthi. Somehow between 1995 when the Believing Youth had swollen in numbers to an estimated 20,000 students the organization adopted an anti-American and anti-Jewish position. When at group meetings the members were collectively chanting “Death to America.” This did not go unnoticed by Yemen and U.S. authorities. All of this led to the Yemeni Revolution in 2011. The Believing Youth now emerged as the militant group Houthis. As the battle raged, the Houthis gained control of more and more territory and finally carried out a direct assault on Canaa, the nation’s capital. By September, 2014 the fighting was in Sanaa, and on January 20, 2015, they seized the presidential palace and President Hadi was ousted from power. On March 20, 2015, two mosques were destroyed by suicide bombers during midday prayers. The attack by the Islamic State of Iraq and the Levant left 142 Houthi dead and another 351 wounded. Abdul Malik al-Houthi, the current leader of the Houthi, accused the United States and Israel of being behind the attacks. He also blamed the other Islamic states of financing the terrorist groups operating inside Yemen. On March 27, in response to Houthi threats to Sunni factions, Saudi Arabia led Bahrain, Qatar, Kuwait, UAE, Egypt, Jordan, Morocco and Sudan in a gulf coalition airstrike against Yemen. The US helped plan the strikes and offered logistical and intelligence support. Are the Houthi a threat to the United States? Since we seem to be fighting against them in Yemen, we have to assume that they could someday be a threat to Americans. They have an ideology that is similar to the Hizbollah in Lebanon, and like the Hizbollah, they are also supported by Iran. They are a form of Islam known as Fivers. Their beliefs are similar to the Sunni Muslims. The unique difference is that the Houthi believe in an “Imamate,” or a coming prophet who will someday succeed Muhammad. The differences might be compared to how the Christians differentiate between the Methodists and the Presbyterians. Hard to see but the small differences in the theology exist in church doctrine. 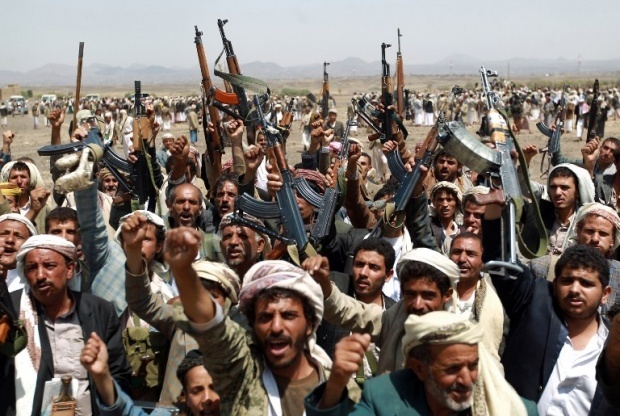 The Houthis say their motives are to fight against the expansion of Salafism in Yemen. As most people know, Salafism involves the strict and puritanical following of Islamic law. The Yemeni government accuses the Houthis of wanting to institute Zaidi religious law and stir anti-American sentiment. If you have read through all of this and remain confused, you are not alone. We have tried to understand and explain it all in the best way possible.